I love when things come full circle like Cristina Veale’s involvement with Girl Develop It, a nonprofit that provides classes and talks to women who are interested in learning about web development at a low cost. For Cristina, she didn’t always know that she wanted to pursue web development. Two years ago she worked at a recruiting company but knew her heart was somewhere else. That’s when she decided to go to a Girl Develop It meetup which spurred her growth into IT. After that, she tried to teach herself through online courses for six months before turning to Tech Talent South’s part-time class. From there, she learned more terminology and used Tech Talent South’s job portal to find her current position at Cardinal Solutions. She was chosen for its rising star program aimed at junior level developers who wanted to get more experience. And it all started at a Girl Develop It meetup. Now, Cristina works with GDI in hopes of cultivating the same spark in others. 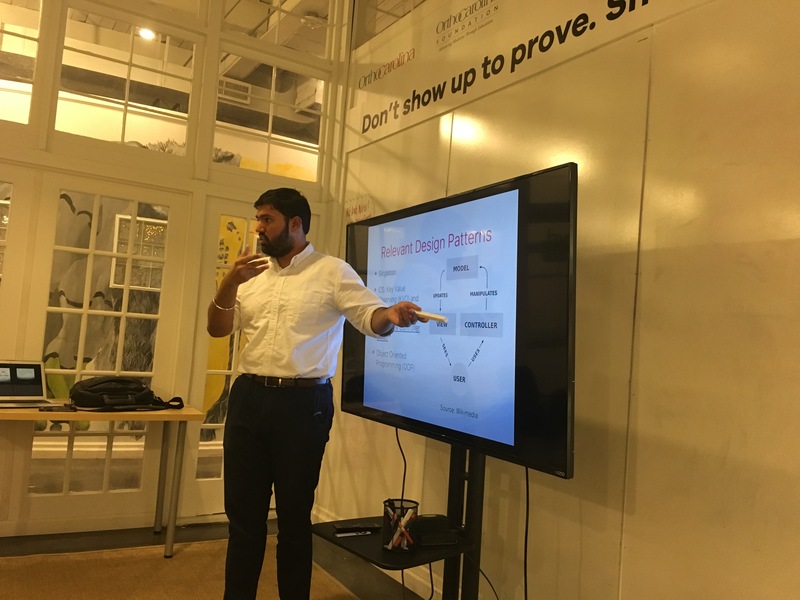 Recently GDI had a one-hour talk on mobile development in the OrthoCarolina Living Room. 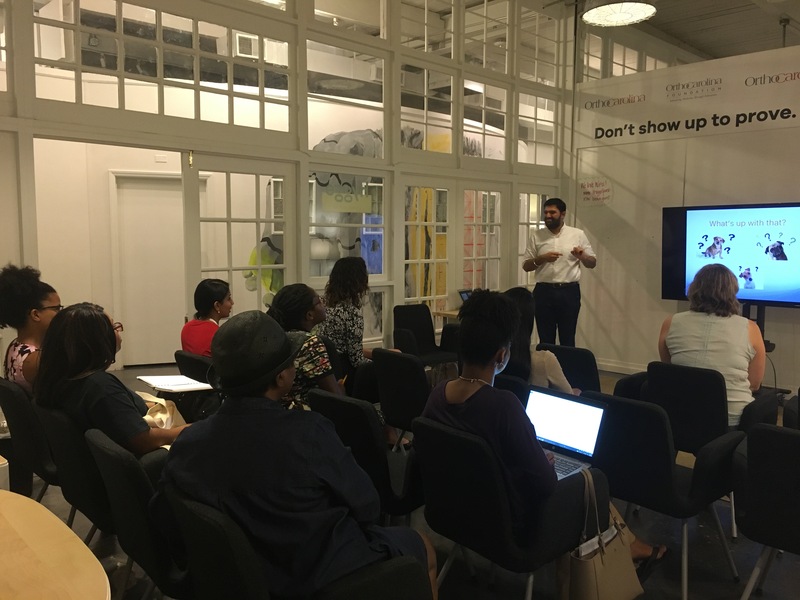 Gurtej Singh, a new Hygge member who is the technology director for Hip Hop University, gave a high-level introduction to all things mobile application development like the differences between mobile and web development, software architecture and how to get started. “It was really important to me that I kept all of these seemingly complex ideas accessible and open to my audience because I wanted to help inspire more women to get into mobile application development and software development in general,” Gurtej says. GDI Charlotte is one of more than 50 chapters across North America. Check out their Meetup group to stay up to date on future events.